We have tested different approaches for submitting pension contribution. Downloading contributions from your payroll system and submitting them to us electronically has proven to be the approach that is most efficient and least prone to error and delay, for both you and us. We work with a number of payroll providers with the result that your payroll department can easily use this facility. By using this payroll download facility manual intervention is completely eliminated. 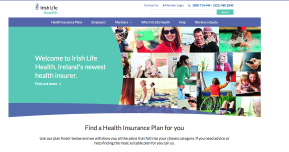 There are very obvious benefits, especially the assurance of 100% accuracy as the pension contribution information is downloaded directly from your payroll system and is uploaded directly onto our business systems in Irish Life. Another important benefit is that the payroll download development helps employers to meet their compliance obligations in relation to the '21 day rule' (Pensions Amendment Act). For information on how to generate a payroll file please contact Ardbrook support directly on 01 838 2921. For information on how to generate a payroll file please contact Big Red Book support directly on 01 204 8300. The setup document explains payroll download with Collsoft. The following is information you may require in the set up. Provider - Irish Life, Lower Abbey St, Dublin 1. The setup document explains payroll download with Core. Go to page 9 of this document to determine if the facility to produce this report is provided in the version of Core being used. If not, please contact Core to arrange. Core can arrange to supply the necessary software if required. 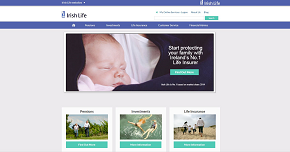 Any costs incurred are taken care of between Core and Irish Life. The setup document explains payroll download with Herbst. The following is provider information you may require in the set up. Address: Irish Life Centre, Lower Abbey St., Dublin 1. If you have any queries please contact the Herbst support directly on 0404 67164. The setup document explains payroll download with Intelligo Megapay. The creation of a report is laid out in the attached and it gives you the option to do a preview and print off a hardcopy of the information on the file for the given period. If you have any queries please contact the Intelligo support directly on 01 2724630. For information on how to generate a payroll file please contact Jefferson support directly on 01 261 4244 and 01 261 4232. For information on how to generate a payroll file please contact Keysolve support directly on 0404 60300. For information on how to generate a payroll file please contact Northgate HR support directly on 01 4814 300. For information on how to generate a payroll file please contact Pascal support directly on 01 284 1888. The setup document explains payroll download with Quantum. 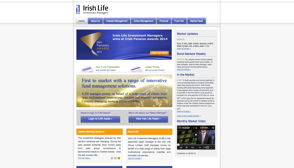 Provider Name & Address - Irish Life, Lower Abbey St, Dublin 1. Last issue - the date on which you last created a pension file. The setup document explains payroll download with Sage Micropay. Provider - Irish Life, Lower Abbey Street, Dublin 1. Per the document you then check your deduction set up. The pension deduction for employees contributing to the scheme needs to be assigned to the link created. Then go to reports to remit a file. The initial file you produce will have cumulative totals (you can submit this to me as a test file). Once you click Remit in reports this file goes to the location you noted in the link set-up above. It is here you retrieve the file and can email it to myself. This facility can be used for a monthly report whether you have weekly or monthly payrolls. If you have any queries please contact the Sage support directly on 01 642 0800. The setup document explains payroll download with Sage Quickpay. Start Sage Quickpay and sign on as Admin. Last issue - is the date on which you last created a pension file. The setup document explains payroll download with Thesaurus. By using payroll software download you can download pension contribution details and send them electronically to us. This file can then be uploaded directly to our business systems. It is a seamless process with no manual intervention. Our experience is that our clients have found this to be an excellent benefit. If you are interested in this service or you have any questions, please contact Kathleen Delaney on (01) 704 1434 or Philip Harris on (01) 704 2466.